The flash drive has become a universal means of sharing files and documents between different computers. It is enough to throw a video or MP3 file on this drive and you can transfer it to another user without long shipment via the Internet or by pumping the file through the link. In fact, the USB flash drive and universal from the point of view of platforms. In this article we will explain how to connect the drive with a USB interface to a tablet or smartphone on Android. First we will need a special cable called an OTG (On-The-Go - connecting on the go). 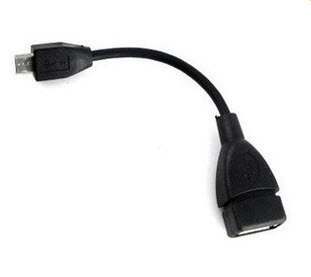 He looks like a regular cable: one USB connector-mother, and with other Micro-USB or Mini-Usb. Do not confuse it with the regular USB miniature connector options. Choosing a cable in the store, take a stick and try to insert it into the connector. It can also be identified by the letters OTG on the sticker or the connector. Insert the OTG cable into Micro USB port of your tablet or smartphone. 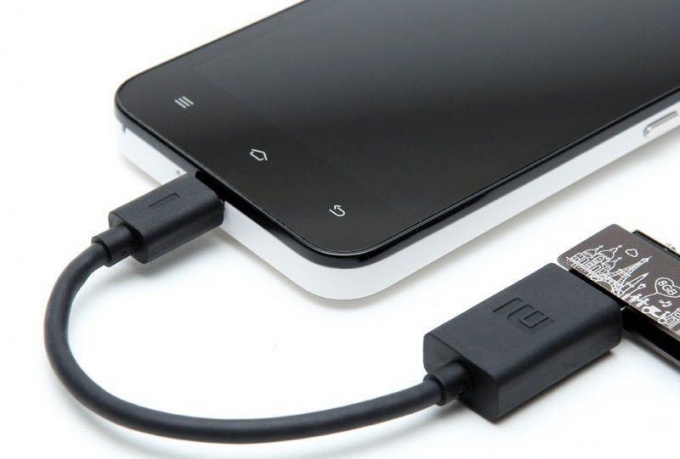 All Android versions starting with 3.1, supports this cable. Ie if your tablet or smart phone made after 2011, the time this version of the mobile operating system, it needs to support external USB drives. If all went well, you will see in your smartphone or tablet's storage without any additional steps. It will appear in the list of available drives, for example, in the file Manager, which is included in all versions of Android. Now you can watch movie from external USB drive or copy it to the internal flash drive. Some manufacturers make it impossible to work with OTG cables from other manufacturers. So it's better if you buy wire at the store to test it with your mobile device and your USB flash drive. Is this cable a little more than 100, but brand OTG cables a lot more expensive. If you have a mobile device with Micro-USB and Mini-USB, then you should look for OTG cable with three connectors: a standard USB, Micro-USB and Mini-USB. Today you can buy and such.